When documentary filmmaker Mitch Dickman and his director of photography Zack Armstrong started following me around with cameras on Jan. 1, 2014, none of us truly knew what we were getting into. But as they wrapped filming exactly 364 days later on Dec. 31, 2014 — the filmmakers’ cameras having followed my colleagues and I at The Denver Post and Cannabist all over the state and even to pot-legal Uruguay — we had a much clearer idea what we’d gotten into. Mitch, Zac and their colleagues had made a movie about my colleagues and I — a movie that looked at the first year of recreational marijuana sales in the world via the lens of a daily newspaper (and its all-weed website) covering the newly legal plant as if it were any other industry. And now that documentary, “Rolling Papers,” has released its first film trailer (above) and an updated poster (left) — and its national theatrical release date: Feb. 19, 2016. 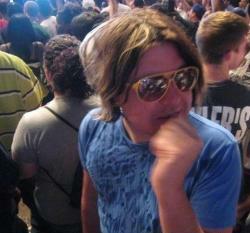 It’s been a lengthy road for the film, which had its world premiere at the South by Southwest Film Festival in Austin, Texas, in March 2015. 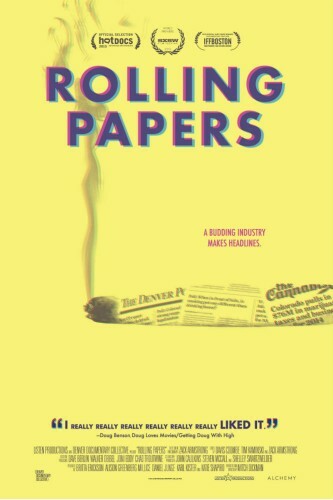 Right before the film debuted, Denver Post film critic Lisa Kennedy wrote a lengthy feature on the movie, saying, “‘Rolling Papers’ is more than a snicker fest about cannabis.” Right after the film debuted, it landed a worldwide distribution deal — just one hour after its initial screening — to film company Alchemy. “Rolling Papers” has screened at a number of film festivals since its SXSW premiere — including Hot Docs in Toronto, IFFBoston and Telluride Mountainfilm — but in February it will open theatrically across the U.S. The film was produced by Britta Erickson, Daniel Junge, Karl Kister, Alison Greenberg-Millice and Katie Shapiro. Executive producers are Dave Berlin, Joni Eddy, Chad Troutwine and Walker Diebel. Below: Watch DPTV anchor Molly Hughes interview Denver Post editor (and “Rolling Papers” subject) Greg Moore about the newspaper’s evolving relationship with the “Rolling Papers” team.